Old furniture, old appliances, garden waste, clear outs, house clean ups… whatever your rubbish removal needs, All Trash OZ gets the job done. We are a company that excels in Rubbish Removal Services in Sydney and does so in the most cost-efficient manner. 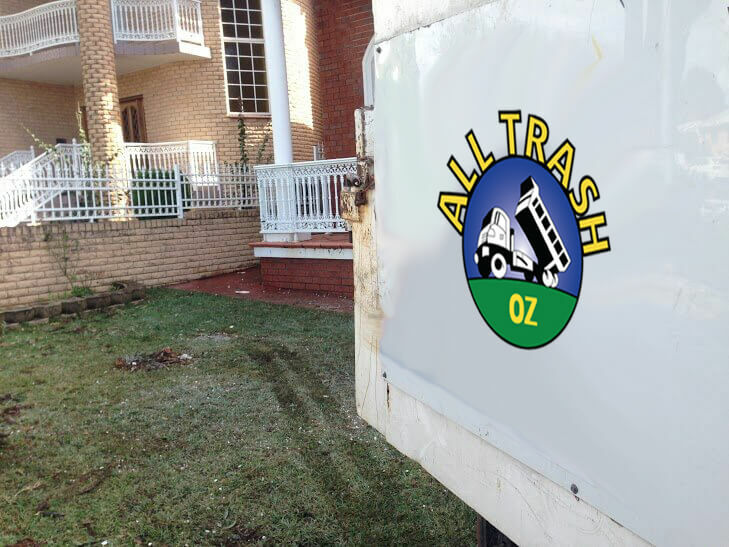 Contact the experts with the outstanding reputation, contact All Trash OZ today. We guarantee an honest, straight up quote. Don’t waste space. The home is an area where clutter does lower the quality of life, and health concerns can become a reality. Rubbish in the home means less space, a lower quality of air, and the diminishing of a spirit. At All Trash OZ, we are the experts that get right to clearing your space so that you once again have a healthy environment that is enjoyable. We are a company that offers cost effective solutions for your household waste removal. When you hire All Trash OZ Sydney, you get your rubbish removed, and a cleaner environment back that you can enjoy. At All Trash OZ, we remove them all. We are the company that comes to remove your Household Waste in a manner that doesn’t leave you with the stress that its disposal is one that is unhealthy. We guarantee you that our disposal will leave the smallest imprint on the environment. This is why we are the experts. We are the experts in Sydney that offer outstanding results in household waste removal. At All Trash OZ, we keep your bill down. Our rates are competitive because we have the best recycling system intact. We are not a company that collects your rubbish for disposal, but one that guarantees that any item that can be recycled will be recycled. We adhere to the principles of green recycling and ensure you that your removal/disposal will be environmentally sound. Our system is one that is the most cost effective solution for household waste and is environmentally sound. Has the equipment and manpower that make a difference – our skills speak for themselves. Our equipment is the best in the industry; and, our manpower is something that not too many teams can produce. When combined, All Trash OZ is the company to call! We are the honest, straight up company that gets your Household Waste Removal removed quickly and efficiently, and leave you with a minimal bill. For more information on our services, contact one of our specialists at the number below. We can also be reached through our “Get a Quote” form that is located at the top right of this page. We guarantee efficient results, leaving your home in the condition of a healthy environment. We are the experts that excel in waste removal services in Sydney.